PRLog (Press Release) – Apr. 11, 2014 – SAN FRANCISCO — Sunday April 20, 6:00pm. Music and Latina/o faculty member John Calloway, who directs the University’s Afro-Cuban ensemble, said the visit by one of Cuba’s most beloved cultural ambassadors demonstrates the ongoing connection the university has had with Cuban music and culture over the last 10 years. “Since I began teaching here in 1999, the university has presented numerous Cuban based art exhibitions, music and dance performances, master classes, along with a feature film on the life of the great Cuban bassist and creator of the mambo, Israel “Cachao” Lopez. Orquesta Aragón has been a cornerstone of Cuban culture for seven decades, prospering in the heady, profligate days before Fidel Castro came to power and then thriving after the revolution transformed the country’s music industry. Through all the personnel, stylistic and political changes, Aragón has kept its focus, spreading irresistible Cuban rhythms around the world. Always looking to make dancers happy, the band has cultivated a highly flexible approach that allows it to keep up with changing fashions while staying true to its basic sound. Led by accomplished violinist and musical director Rafael Lay, Jr. and with a creative range from danzon, son, cha-cha-chá, and more, Orquesta Aragón’s classic charanga form their distinctive sound based on traditional son with its African rhythm section and Spanish melodies, over which they added flutes and violins. The importance of Orquesta Aragón to Cuban Music is similar to that of Duke Ellington or Count Basie to American Jazz. Orquesta Aragón’s extraordinary adventure began in September 1939 when bass player Orestes Aragón Cantero brought his small charanga to Cienfuegos for their debut. 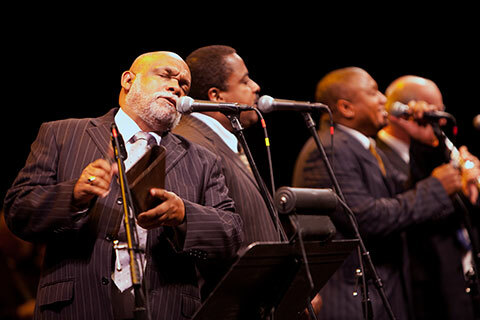 This Charanga group has gone on to become one of Cuba’s most treasured cultural entitieswith a reputation as one of the foremost interpreters of classic Cuban popular songs. Known for such hits as “El Bodeguero,” “La Gloria Eres Tu,” and “Calculadora,” the group has performed in prestigious venues all around the world – Carnegie Hall in New York, Olympia Theatre in Paris, and Tchaikovsky’s Theatre of Russia. They can be heard live regularly on Radio Progreso in Havana (making their debut on the station in 1955) and have recorded over 100 albums.